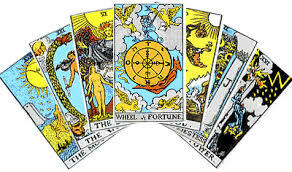 The Tarot cards have been around since ancient times as a source of divination about the past, present and the future. They can provide you with excellent insights into your personal areas of concern, your questions and inquiries into the future. Not only am I an expert astrologer but I know that religion, traditions and symbols have played an important role in shaping astrology. 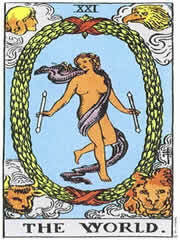 The tarot too is rich in these symbolisms. Mastering, different methods of astrology, along with numerology and of the Tarot has taken my consultations beyond the average. Now, I am happy to be offering two selections of Tarot Card Readings, one Tarot Card Reading allows you to read the Tarot yourself with my completely edited interpretations of the Tarot Cards plus my years of experience, the 2nd option allows you to get a one on one Tarot Reading with a psychic chosen by me and their interpretation of the Tarot Reading using one Spread of the Tarot Cards.